Three brothers, three parts, and three believers in the power of storytelling. 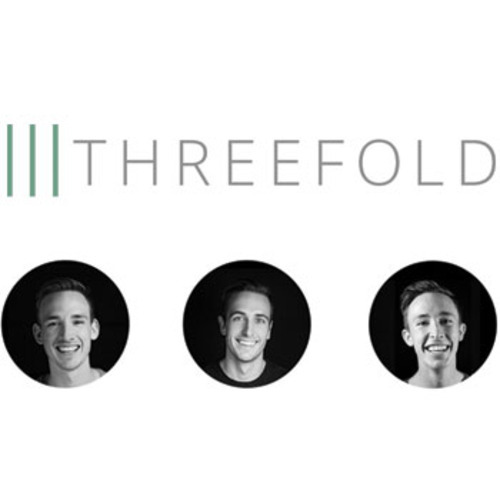 Threefold started in the fall of 2013 as passion turned challenge in building a video production studio that connected with people through storytelling and captivating images. The success of their “community” video project for the Bismarck-Mandan Chamber accelerated their brand and allowed the business to grow much quicker than originally anticipated. Threefold is now an established North Dakota-based creative video production studio, committed to creating the finest high quality content. Last year they had the opportunity to submit two entries into the 2014 ADDY awards for North Dakota. This awards program honors excellence in advertising and cultivates the highest creative standard with the American Advertising Federation. Both entries were awarded gold in their designated categories, highlighting the excellence of the work the brothers were producing! The company provides a wide variety of video production services including everything from documentaries to corporate training videos. However, no matter what the task is they always take great pride in their work and ensure everything is executed with creativity, precision and love. What is the best thing about being an entrepreneur? What is the hardest thing about being an entrepreneur? “I think with any entrepreneur, one of the biggest challenges you face is finding balance. The demands of starting a business force us to inevitably sacrifice personal time. “We get a lot of comments from people about how they can’t imagine working with their siblings and I’ll tell you there is usually never a lack of honest “opinion”. Do you have any advice to offer young entrepreneurs such as yourself? “Start something. Everyone wants to have a perfect plan or idea before they dive in, but that path usually leads to never starting!